The 10th anniversary of the annual Paris Deco Off saw more than 120 showrooms and galleries take part in this growing five-day parallel event to the January edition of Paris Maison & Objet. Participating interior design trade showrooms, pop-ups and exhibitions—scattered across the Rive Gauche around Saint-Germain-des-Prés and on the Rive Droite around the Rue du Mail—opened their doors to celebrate their newest collections. Following a route adorned with 200 oversized lamps fashioned from textiles by each fabric house taking part, international buyers and designers descended on the showrooms to view the latest releases and trends in textiles, trimmings, lighting, home accessories, and floor and wall coverings. Larsen’s new collection takes its inspiration from the secrets of living nature, using the natural irregularities on linen in subtle tones. Curtains are in Vittelli and Bautista. Photography courtesy of Larsen. Ancien et Moderne, curated by Beth Dempsey, returned to Paris with the 4th edition of its unique interiors and art pop-up. The Orient Express-inspired space showcased elegant Art Deco-influenced interiors featuring Fromental, Rinck, Hector Finch, Savoir beds, Voutsa, Maison Leleu, and Lasvit. Lizzie Deshayes, co-founder of Fromental, explained the joy of mark making in-situ with metallic and foils for the final adjustments to the installation of the Goldoni velvet, one of the three wall coverings featured. The pop-up also included the work of the Jules Leleu of Maison Leleu, which has been resurrected by his great-granddaughter Alexia, who reintroduced the rugs of the 20th-century Modernism house. Across town, Houlès collaborated with Paris-based, American-born Bambi Sloan, an interior designer known for her fun and colorful style. Her collection of embroidered leopard trim was drawing quite a crowd of buyers. Passementerie was given pride of place at almost all the fabric houses, indicating a move toward more elaborate finishing on curtains, cushions, and furniture. Experimenting with scale, oversized bullion fringes embellished lighting at Houlés and elaborate jumbo cotton tassels and brush fringes were spotted at the Samuel and Sons pop-up. The trend wasn’t just seen at the trimming specialists, however, as textiles from Jim Thompson Fabrics, Pierre Frey, Holland & Sherry, and Sahco were also embellished with trims. 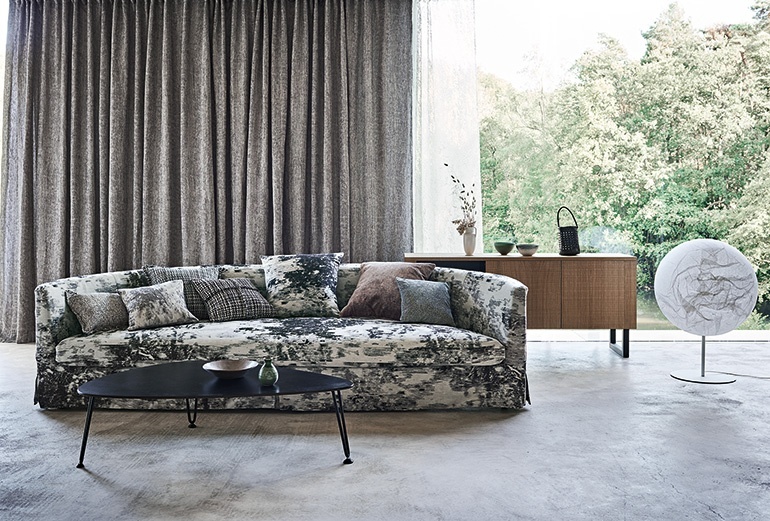 French textile house Lelievre released Merlin, a new edition inspired by an enchanted forest. Photography courtesy of Lelievre. While new products were intended to meet the needs of every type of interior designer, from avant-garde to traditional, color on the whole was decidedly warm, especially rich earthy terracotta tones, deep berry reds, and ochre. The newly opened Elitis showroom proved to be a case study in the use of this palette. In contrast, the alternative trend was notably subdued in color, often featuring natural linen or unpigmented grounds. 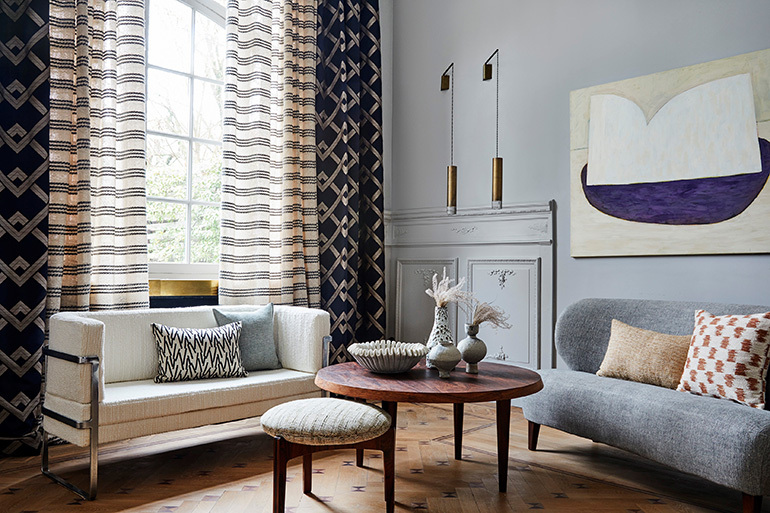 Pattern wise, graphic geometric motifs were popular in practically every showroom, as were highly tactile textured fabrics, such as such as Texturologie by Dedar. And Objects, the product design brand of interior designer Martin Brudnizki, presented the latest collection of fabrics for Christopher Farr Cloth. Channelling the uniquely chic aesthetic of Brudnizki’s eponymous design studio, the collection incorporates the hand-rendered designs of Fresco and the characterful weave of Tangle. 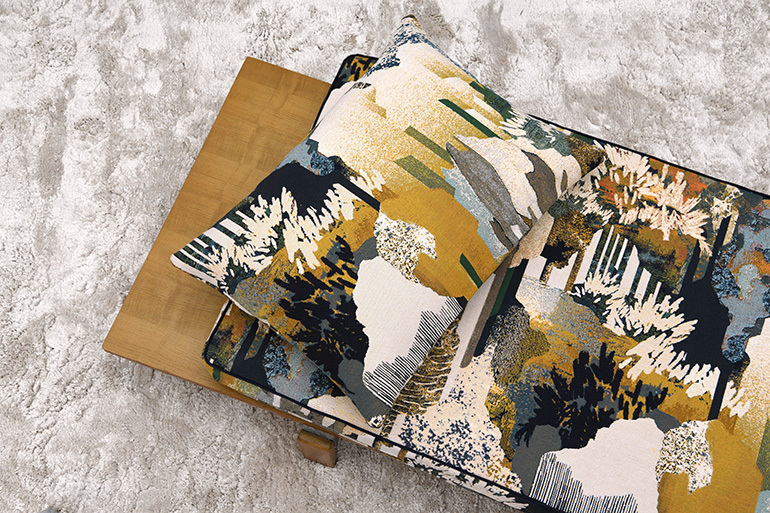 Meanwhile, French textile studio Maison Lelièvre delivered Merlin, a tapestry featuring an enchanted forest from its Nature Precieuse collection, as well as its first wallpaper collection exploring patterns from the company’s archives.